Master the basics of French with our BRAND NEW online course! 10 lessons including recordings & access to an online tutor. Two personalized study skills & organizational coaching sessions with one of our trained facilitators from the comfort of your home. Now only R795! Apply now for a part-time job with great hourly rates & a flexible schedule! Teach subjects you’re passionate about, learn valuable life skills & get a reference letter from us! Master the basics of Zulu in 10 lessons with a one-on-one expert tutor. Suitable for adults & children. All materials included. Master the basics of Afrikaans. Cover 3 years in 30 sessions with a one-on-one expert tutor. CAPS & IEB aligned materials included. Contact us for our current promotion or sign-up now for a 7-day free trial! Summer has completed her BA at UCT, with a double major in English Language & Literature and History, as well as her Honours in English. She has tutored English and French with BrightSparkz. She enjoys reading and writing short stories, as well as learning foreign languages. John received straight A’s in Matric, and went on to complete his BCom Accounting and BCom Accounting Honours degrees. He has been working as an accountant for several years, and has tutored Accounting at Grade 10 – 12 level, as well as Grade 7 – 8 Foundation Principles of Accounting. Melini has completed a diploma in banking service and advice, Fais RE1 programme in customer service management, BCom majoring in Accounting, HR and Business Management, and her BCom Honours. She has experience tutoring Business Studies and Business Management at university level, and teaching traditional dance. Evan is a Social Science teacher for Grade 8 and 9, with a Bachelor of Social Science in Geography and Environmental Management, an Honours degree in Environmental and Geographical Science, and a Masters in Environmental and Geographical Science. He has tutored at university level and high school level for more than 7 years. Nametso has completed her BSc Mathematical Statistics (majoring in Mathematics and Statistics) at the University of Pretoria, and is currently completing her BSc (Hons) Statistics. While in high school, she tutored Maths to Grades 10 and 11. She is very passionate about netball, and has been coaching netball and mini soccer to kids. Mathew is currently completing his LLB at the University of Pretoria, and was the South African representative at the Global Leadership Summit in 2016. He has tutored English, assisting undergraduate and post-graduate students at the University of the Free State with formal academic writing, as well as tutoring History at high school level. We provide private, one-on-one tutoring lessons in your own home & own time. We have tutors available to tutor all subjects at school and university level, as well as all grades, including foundation phase. We have qualified tutors able to tutor at adult and corporate level, including adult language tutoring. We provide online tutoring to anyone outside of the major city centers that we operate in, as well as for our language boot camps, and to anyone who would prefer online lessons for any subject. We provide group tutoring in your home, library or a place that is convenient for you, for all subjects and grades. Learn study skills and improve your grades with our Study Skills Crash Course. Find out which studying methods best suit your learning style, as well as how to plan your academic workload. Educoaching is a great step if you are considering homeschooling or changing schools; if your child is battling to integrate into a new school or grade; or if your child is experiencing school-related anxiety, an unexplained drop in marks, or other academic challenges. We provide readers, scribes, prompters and personal assistants for learners with barriers to learning, who find it challenging to complete tests or exams in the allotted time frame. Our tutors can help you prepare for your Matric rewrites or supplementary exams, for all subjects. 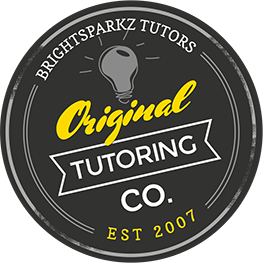 BrightSparkz’s Afrikaans Boot Camp™ is a fun, interactive, CAPS & IEB aligned Afrikaans tutoring program. It’s designed to establish and build strong foundations in Afrikaans, making it more enjoyable to speak, read and write, and to boost confidence. Our homeschool tutors can assist with all subjects and grades, for all homeschool programs.